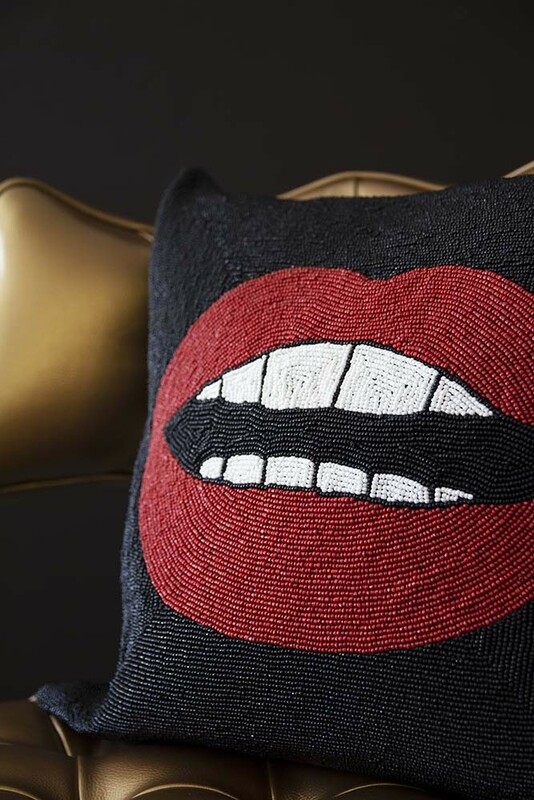 A brilliantly beaded cushion the utterly unique Red Hot Lips Glamorous Beaded Cushion is the ultimate decorative soft furnishing to give your sofas, armchairs, dining chairs and beds a glamorous uplift! 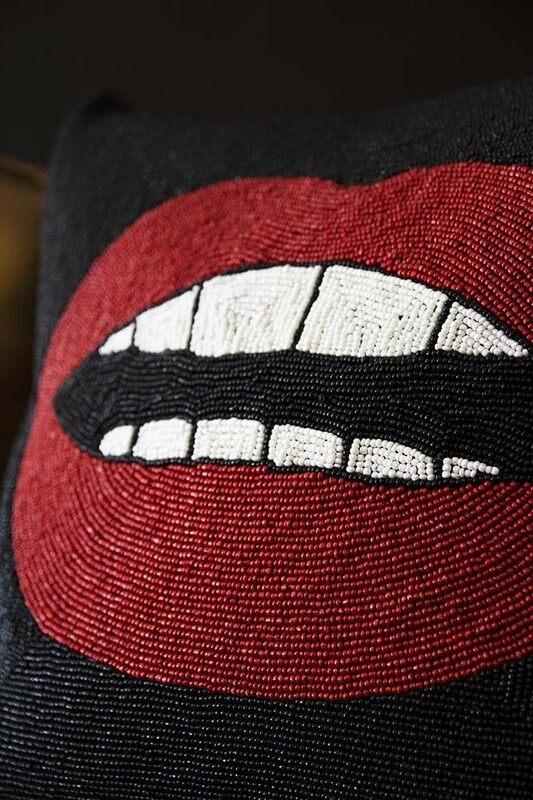 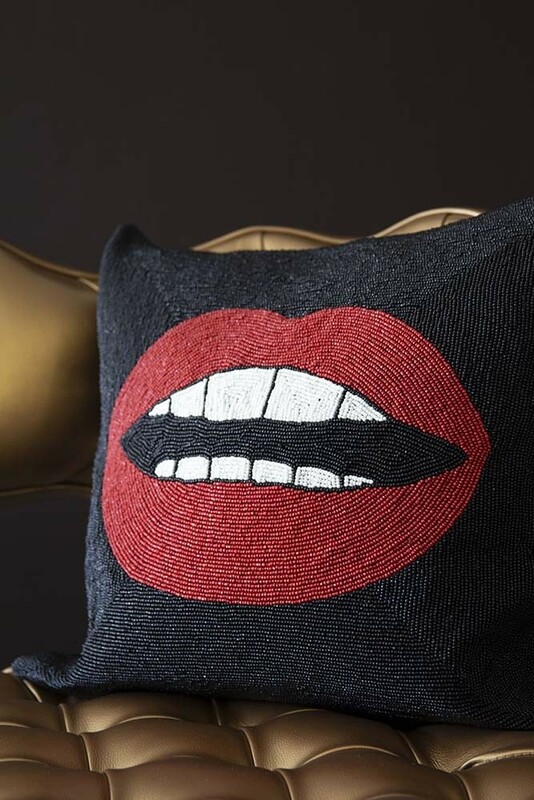 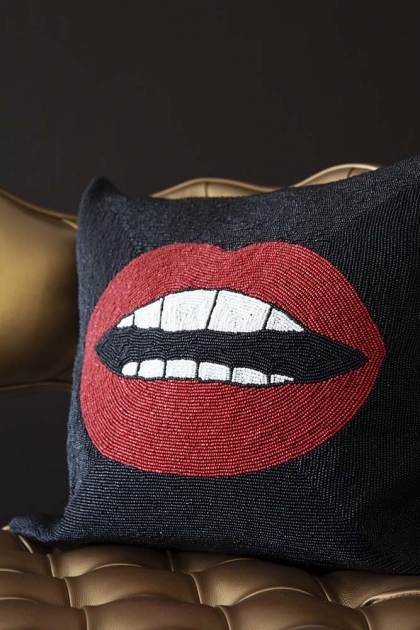 Adding humour, theatrics and fun to just about any room in the home, the Red Hot Lips Glamorous Beaded Cushion is adorned in a black glamorous bead backdrop with red hot lips and sparkly white beaded teeth. 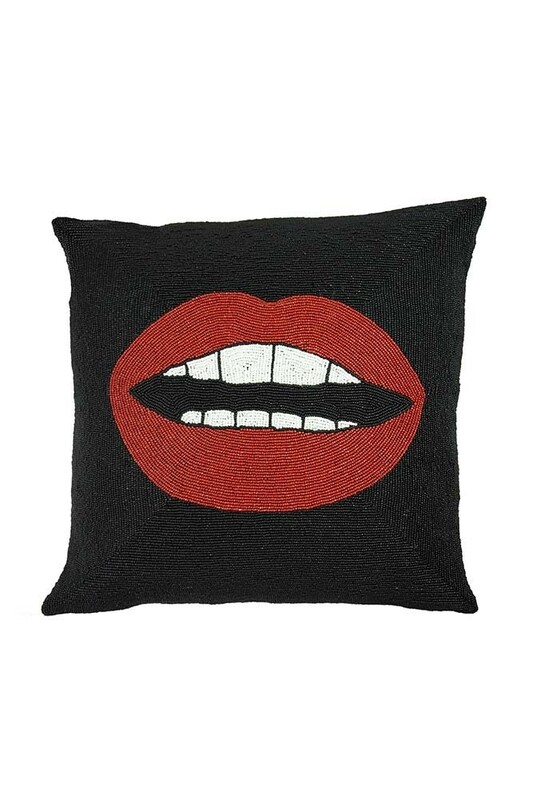 A cool and edgy rock ‘n’ roll own-design cushion that will spread love in your home, the Red Hot Lips Glamorous Beaded Cushion is a fabulous gift idea for your most glamorous and rock ‘n’ roll friends!